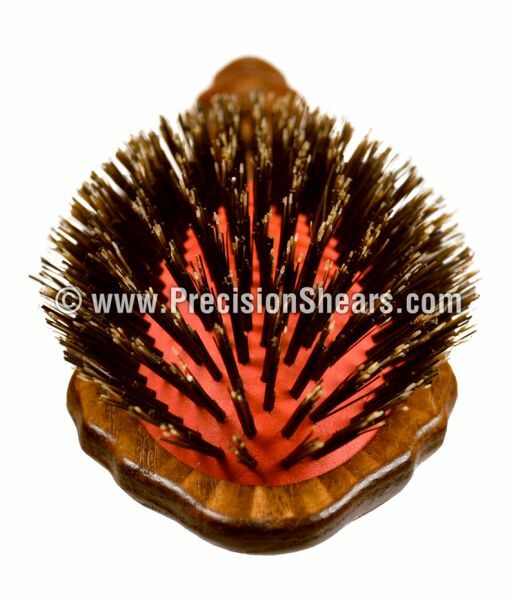 YS Park Luster Wood Styler Brush 851 refreshed, and up dated from the YS 701 with 100% pure boar bristles are arranged in a spherical pattern so that each stroke reaches all the way to the scalp, without causing any irritation or discomfort. The offset handle is designed to prevent accidental contact with the client's head during use. This YS 851 brush is popular and effective with great control, comfortable in the hand, and ease of use.If you seek less tension on the hair that an all boar bristle brush provides, and are use to working with the pins look at the YS 501/651.